When beautiful events take place in the sky I look up and take notice. When a person changes many lives for the better by standing up for what he knows is truth, I take notice of his words. I wonder what Martin Luther King, Jr’s dream would be if he lived in our present world. What am I silent about even when I know something is very wrong? Do I keep opinions to myself because I don’t want to come across as condemning instead of loving? What might my silence let happen that should, at the very least, be spoken against? Today I am stating my opinion on abortion. My belief is that at conception life begins. I don’t usually contact government leaders, but this weekend I sent a thank you email to Rand Paul for reintroducing the Life at Conception Bill. Over the past few days, I’ve been watching the moon’s position in the sky through late daylight and early evening hours. 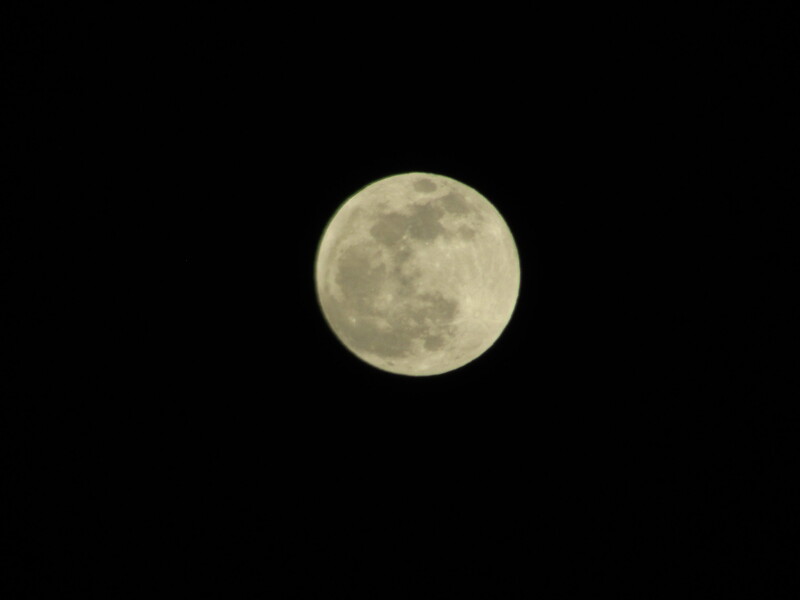 I’ve enjoyed the nightly broadening of the moon’s surface into a brilliant Supermoon. 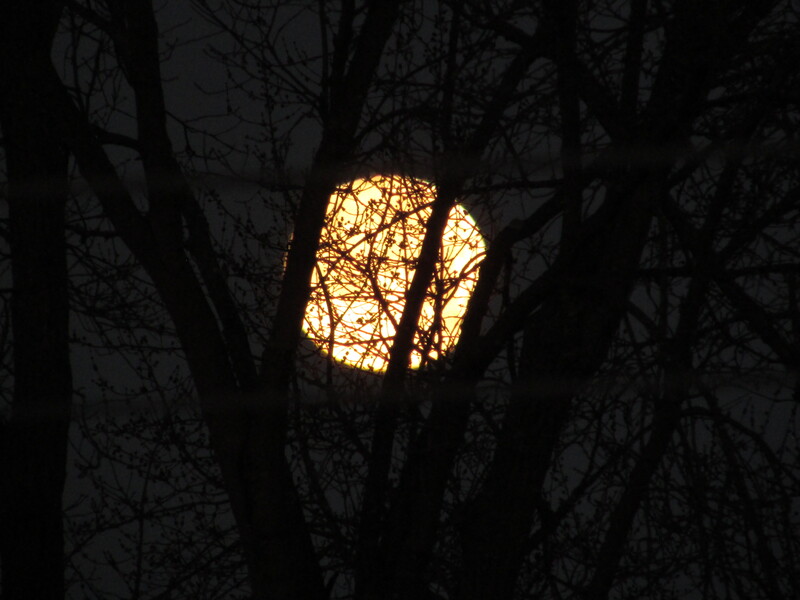 The trees in my backyard often obscure my early evening view of the moon, so I begin scanning the sky as soon as the sun begins to wane. 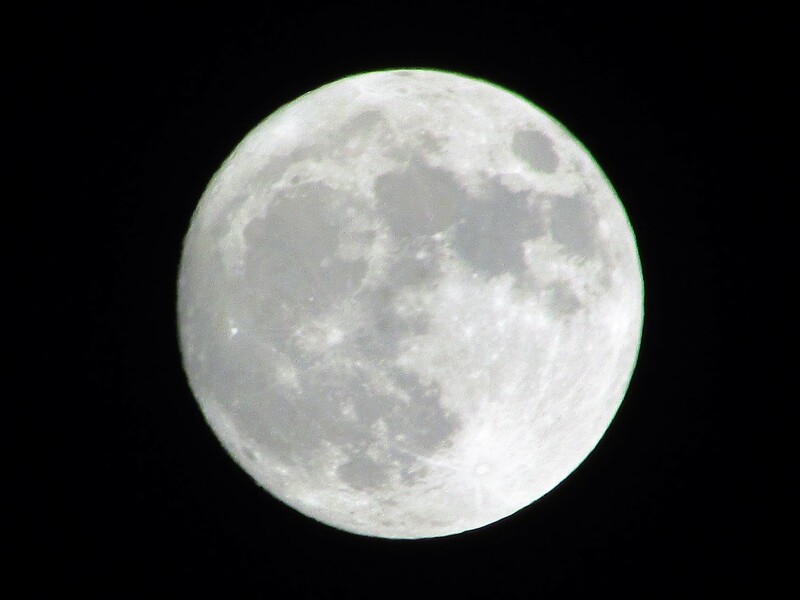 The photo of the moon was taken Sunday evening, November 13th, near 7:00 Eastern Standard Time. 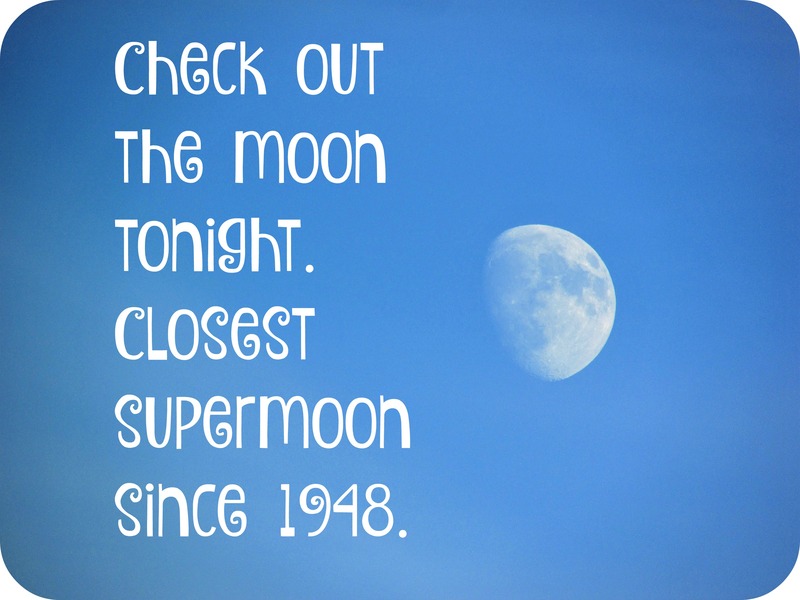 This is the closest Full Moon since 1948. There won’t be another one this close, or closer, until 2034.